In a bout of nostalgia, and seeing as the game was now reasonably cheap on PC-DVD, I got myself a copy of EA’s 2012 (personal favourite) Need for Speed Most Wanted for PC. They didn’t port this title to PS4 of Xbox One. Amazon provided prompt delivery in their usual style and I was up an running the following night with only one problem. It was running terribly slowly on my 4K monitor using the not-so-high-end Nvidia GTX 960. The reason this was so was that the game had launched itself in 4K resolution with all the graphics settings jacked up to the max, and was running in a very large window as a sort of mock full-screen. Not nice. 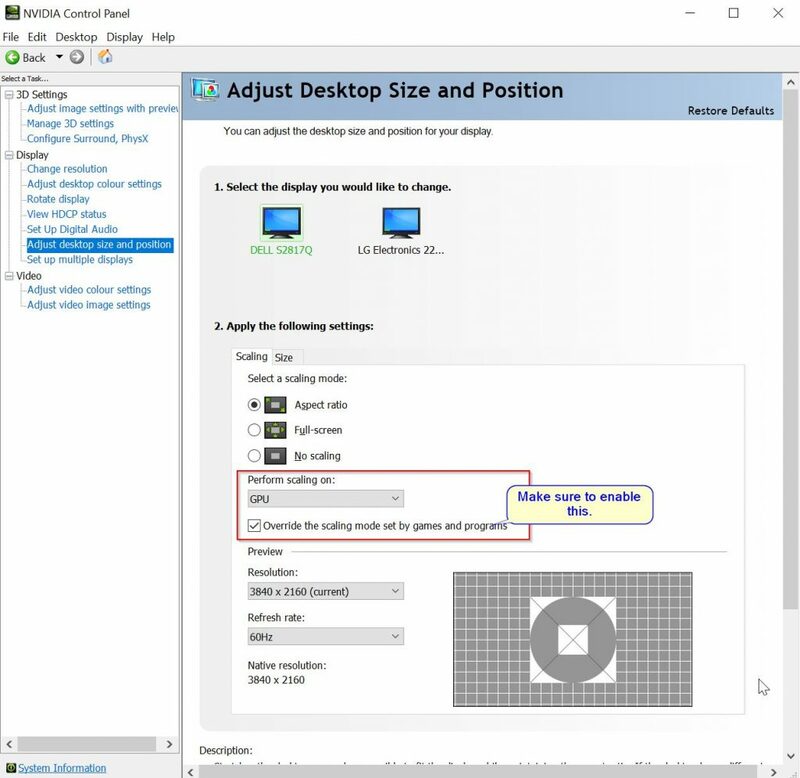 I went into the game’s settings and set the resolution to 1920×1080, leaving graphics at max quality still and ended up with a tiny 1080p window in the corner of my screen. Grrr! No option in settings to put this into fullscreen mode and scale it appropriately. Googling this led to an odd article from 2012: https://amittoor.blogspot.co.uk/2012/10/run-nfs-need-for-speed-most-wanted-in.html which suggested a registry edit which totally didn’t work, but it did trigger a memory I had of the graphics settings on my GPU. Select the display you desire if using multiple displays. That should do the trick. It appears that EA programmed the game to always try to do scaling on the Display or in software, which probably made sense when the game was being built as home users probably wouldn’t have 4K or higher resolution displays.